Just serviced with OEM oil filter, OEM fuel filter and OEM glow plugs. Runs great. The BJ44 was only sold to the Japanese Domestic Market (JDM) and was sporadically imported to Russia, Australia and New Zealand. BJ44V is the first Landcruiser with a rear seat facing forward. 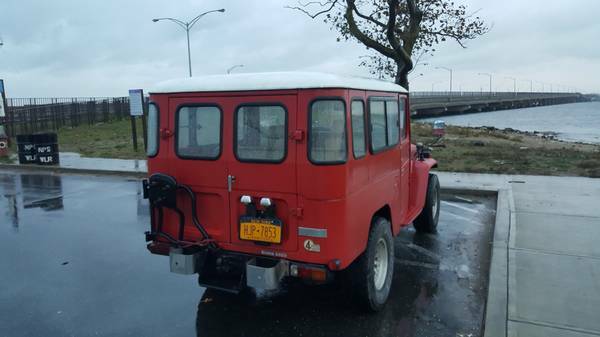 The BJ44V is the hardtop medium wheelbase version of the BJ40 which itself is the diesel version of the FJ40. 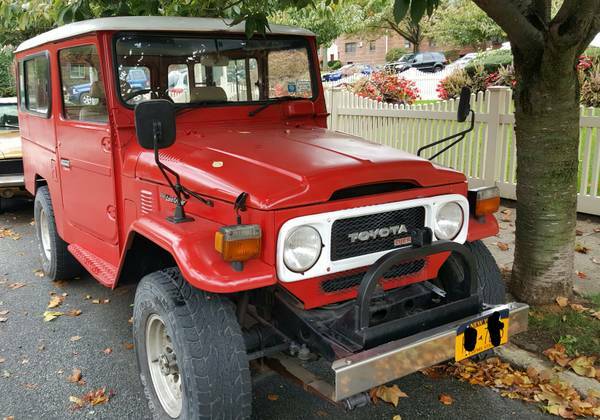 At 97", the wheelbase is approximately 7" longer than a comparable FJ40. 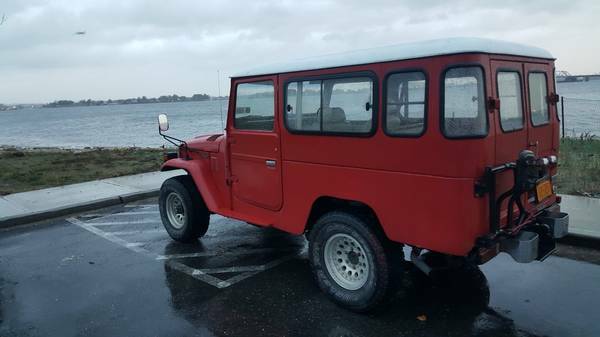 In total the BJ44 is approximately 14" longer than a FJ40. The BJ44V was produced from 1980 until 1982. Which makes for a very short production run for the long running 40 series. 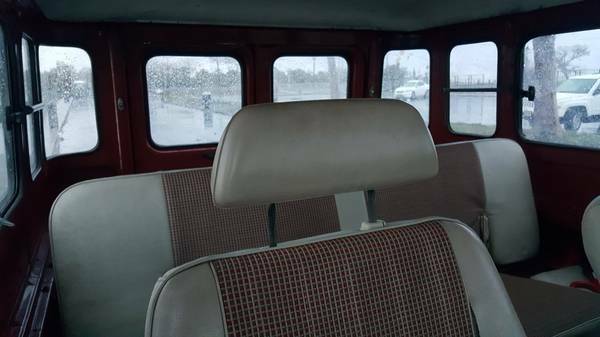 Combine this rarity with the L-Package with which this truck is equipped and includes such items as the chrome (currently white)/grille, rear bumpers and license plate light covers, extremely rare 2-tone cloth vinyl ivory interior with front buckets and center console with rear heat and FACTORY AIR CONDITIONING!! Forward facing folding bench seat. All original tan factory matting. All original glass with etching. Seals are in good condition. Hoses and plastics under hood are in good condition. 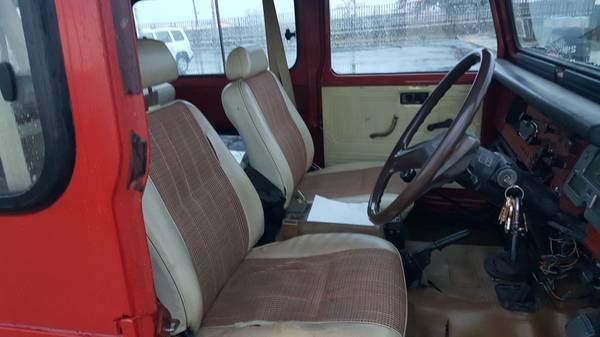 4 speed manual transmission with hi/lo shifter. Late model sliding side windows. Original jack and tools included. Original Aisin locking front hubs. Rare Factory Air Conditioning, this is currently not cooling and needs a new compressor which I have located locally. Front disk brakes, rear drum brakes with emergency brake built in. Factory Brake Booster, Factory Clutch Booster, working vacuum actuated 4wd system. 24V heavy duty electrical system, brighter lights, less amp load. 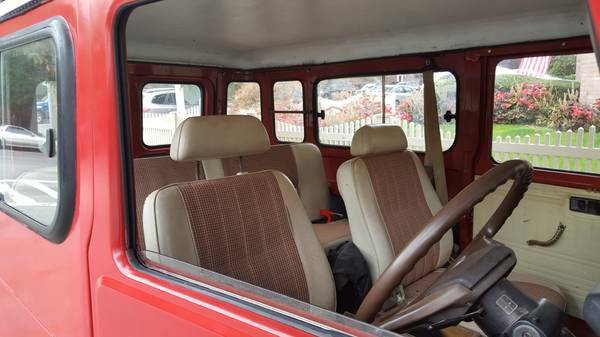 Please note that this vehicle has an extremely clean frame, axles and drivetrain but does need a new headliner and eventually the rain gutter. As far as rust, I'm unable to locate any but there might be some areas which may require work in the future. Currently all areas are sealed and there are no issues. This BJ44 handles great and drives strong. Comes with the Clean & Lien-free New York State title. This vehicle is sold "as is". All required customs, EPA & DOT forms will be provided along with a bill of sale. 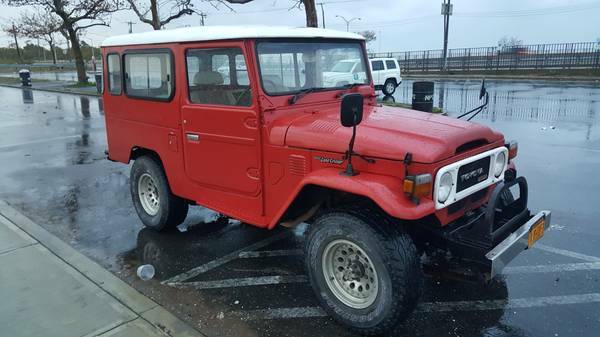 Text to test drive this amazing BJ44!